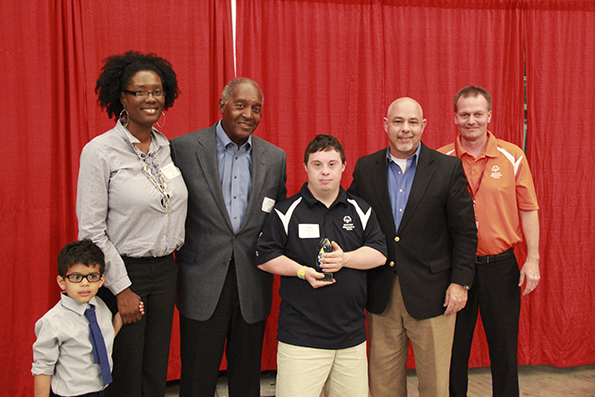 Durham School Services has been named 2014 Special Olympics Illinois Outstanding Organization of the Year. Carina Noble, Kimberly Isley-Pesto and John Elliot accepted the award at a reception June 13 before the Special Olympics Illinois Summer Games Opening Ceremonies at Illinois State University in Normal. The Outstanding Organization Award recognizes a club, business or organization whose efforts have significantly improved the Special Olympics Illinois athletes’ experiences either locally or statewide. 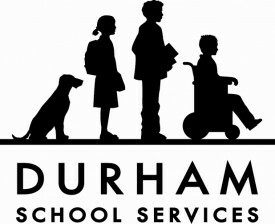 In 2013, Durham School Services and National Express Corporation partnered with Special Olympics Illinois to create an impact greater than past years. In 2013, Durham School Services and National Express’s support of Special Olympics totaled nearly $20,000. Durham School Services has donated buses for Polar Plunges at 3 locations- Lake Bluff since 2008 and Palatine and Fox Lake for the past two years. They have sponsored the Windy City Rubber Ducky Derby for the past 8 years with employees selling duck adoptions. Those sales have raised more than $14,000 over the years. In addition, Durham provided buses to transport Law Enforcement Torch Run Plane Pull participants at O’Hare Airport for the past few years. Durham also provided buses for Team Illinois’s training camp and provided buses for a Young Athletes event at Northwestern University.